Christmas! Yes, I said the dreaded word, in September! But before you all start running away allow me to terrify you with the news that Christmas is less than 13 weeks away! That means if you want to get yourself in to the best restaurants in Newcastle this Christmas it really is best to get your diary organised now. Celebrate Christmas at Marco Pierre White in Newcastle with their festive lunch and dinners, Christmas Day celebrations, New Year's Eve soiree or a rather delicious looking festive afternoon tea. 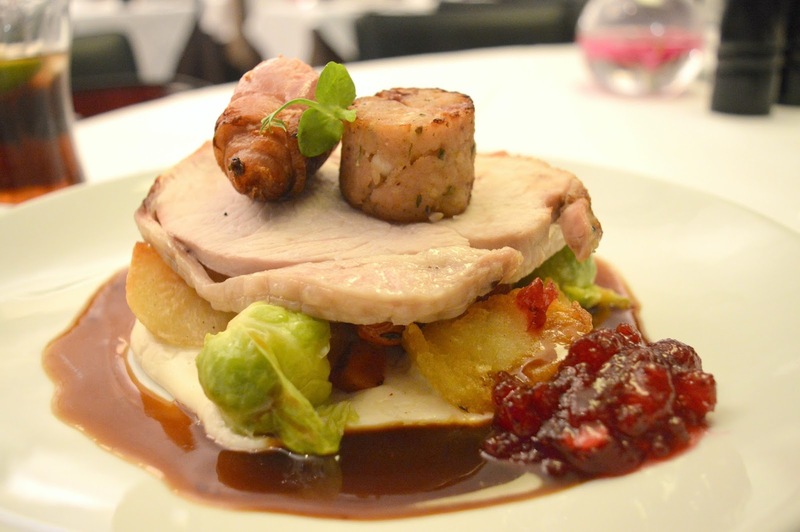 There really is something to suit every foodie with plenty of traditional Christmas food to tempt you. 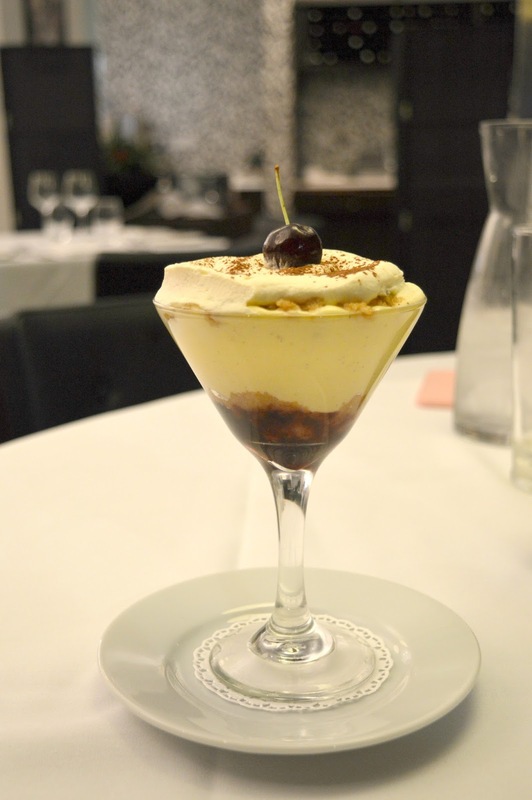 Resisting the urge to dive into the depths of my wardrobe and pull out my Christmas jumper (believe me, I did consider it) I popped along to Marco Pierre White on Fenkle Street with some of my favourite ladies to see what we can expect from their Festive Menu this year. The Festive Menu at Marco Pierre White is available between 1 December and 21 December as lunch between 12:00 pm - 2:30 pm (3 courses £27.50 per person, under 12s half price) or dinner 5:30 pm - 9:30 pm (£33.00 per person, under 12s half price). Our evening began with a tempting selection of seasonal starters. 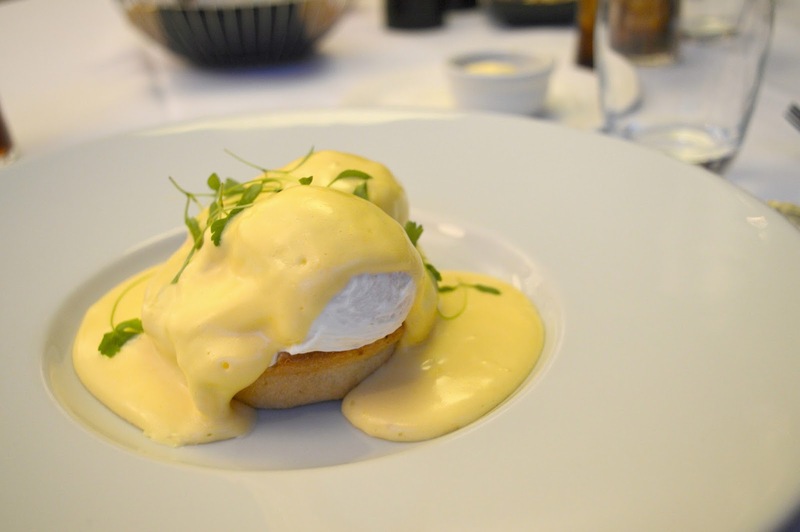 I opted for Mushroom Tartlet with Poached Hens' Egg and Sauce Hollandaise. When it appeared we had a little chuckle as it looked a little like I'd ordered breakfast for my Christmas dinner! Despite the brunch like look of the dish I promise you underneath my pile of eggs and sauce lay a delicious mushroom tartlet. I wiped my plane clean, mopping up with a few pieces of bread and butter - a little greedy maybe but it tasted so good I wanted to enjoy every last bit. When it came to picking out a main course there really was no competition. If I'm enjoying a festive meal I always go with the turkey option, I am definitely not one of these people that get fed up with turkey during December and I'd happily eat it for every meal! If you're not one of these people then don't worry there are plenty of other options on the menu but for me I had to pick the Turkey Roast! 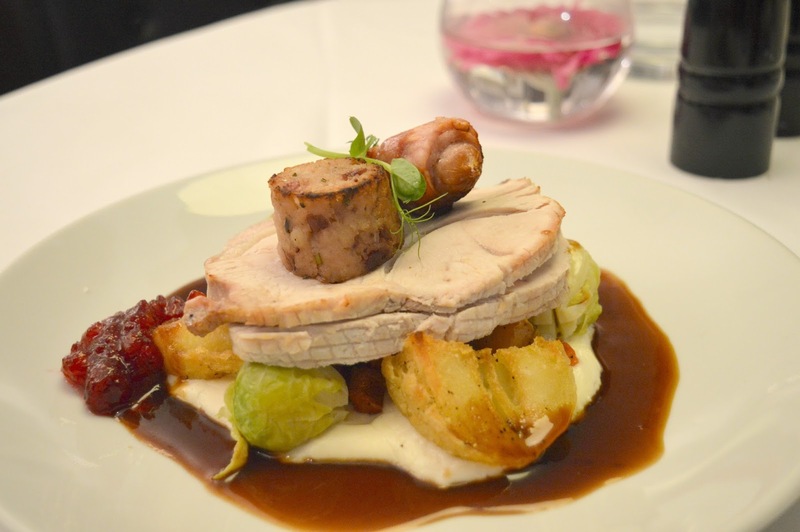 The Traditional Turkey Roast at MPW comes with all of the trimmings, Bread Sauce, Cranberry and Roasting Juices. When our plates arrived my eyes were out on stalks. Have you ever seen such an epic mountain of Festive food? It was the largest Christmas dinner I had ever seen! Tucking in with great enthusiasm I was impressed by the tender meat, the crispy roast potatoes (why can I never get them like that at home?!) and the Bread Sauce that was so moreish I was enjoying every forkful with a generous dollop and completely forgot about the jug of extra gravy that was right in front of me! I was defeated! I just couldn't manage the whole plate, there was that much food. Definitely wear your Santa pants when you tackle this Christmas monster! Dessert came round and despite growing a belly that was beginning to resemble Santa's I managed to plod on - I mean if you can't indulge in three courses at Christmas then when can you? I decided on the Black Cherry and Sherry Trifle Wally Lad, because sherry was always Santa's drink of choice at my house so it never fails to bring back childhood memories. I was always curious to try the sherry but was never allowed as apparently Santa isn't too happy if little girls drink his sherry! The Trifle was so good that I decided to only eat tiny amounts off my spoon just to make it last that little bit longer. My tummy definitely didn't have the capacity to fit the entire trifle in but somehow I managed it. The wonderful boozy finish at the bottom of the glass kept me delving deeper and carrying on! If you're looking for a festive menu this Christmas that leaves you feeling very happy, incredibly plump and ready for your Christmas afternoon nap then Marco Pierre White ticks all of the boxes and some! Bookings for Christmas are being taken now - contact the team on 0191 300 9222 or visit their website to book your table before they all go! I was treated to a complimentary Christmas meal in exchange for an honest review. You just beat me to it - I was just about to publish mine but I'll wait a couple of days now I think. I'm impressed with the photos you got in that lighting, well done. I agree with everything you've written. It was a fantastic meal in fantastic company. Lovely to see you as always. yummo!! cannot wait for a turkey dinner! !